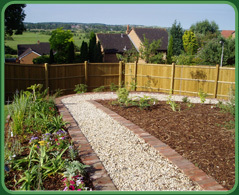 Mark Cairns Landscapes is based in Chilcompton, Somerset. With over 15 years experience this family run business provides a friendly and professional service at affordable rates. We pride ourselves on our ability to consistently provide high quality workmanship with great attention to detail. We believe that traditional values matter and people count. 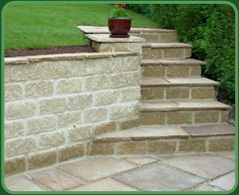 Mark Cairns Landscapes commitment to you is to provide the ultimate in quality, service and value. This is something that the whole team takes seriously, from the initial enquiry, right through to conclusion. Over the years we have built up a reputation to be proud of. We are not just there to take your initial enquiry, but are on hand to help you with any further information or advice. Let us take the concept of your dream garden through to completion or revive and rejuvenate your existing garden. Our garden and landscaping services cover a 25 mile radius from Midsomer Norton that includes: Bath, Wells, Bristol, Frome, Radstock, Glastonbury and Shepton Mallet. View examples of our previous gardening and landscape projects, with a selection of before and after photos.